Hey guys, Happy Tuesday! Last week Holly @ Eat Great Be Great tagged me as a nominee for the Sisterhood of the World Bloggers Award! It is just one of those fun little surveys that floats around from blogger to blogger. I think these posts are so cute and fun to read, the perfect way to get to know a little more random stuff about each other. Um, tea! Hot brewed tea all day every day sweetened with stevia 🙂 I drinks mugs and mugs of tea. I don’t understand and hate when people say, “Sitting down with a cup of tea and a good book on this cold winters night.” I drink my mug of tea in about 2 minutes flat. I am already done with it by the time I even open my book to the first page. Why would you wait and let you tea get cold and gross and how can you just take sips? No I throw my back and have suffered a burned peeling roof of my mouth many times, but I just love my tea to much to wait! 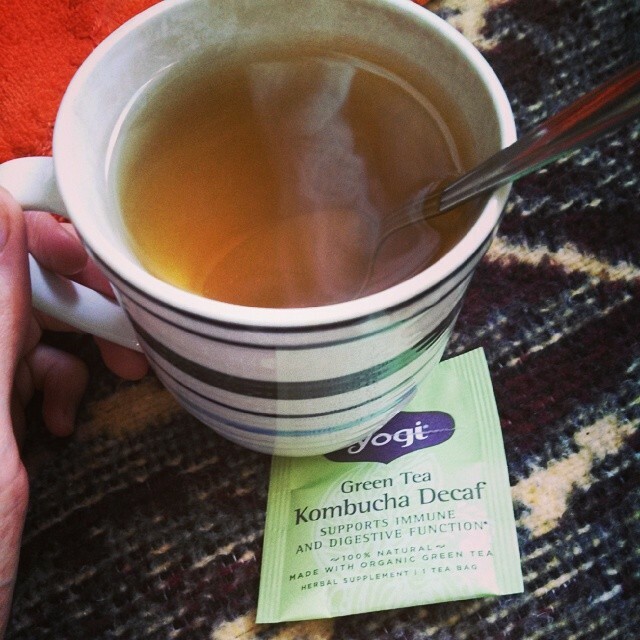 And I just keep buying boxes and boxes of new flavors all the time, but my tried and true favorites are Red Roobios, Vanilla Ceylon, Dandelion Root, Green Tea, and now that Green Tea Kombucha I told you about! Twitter hands down! Facebook is so stupid, it really is losing it’s popularity. Other social media is so much easier and more interesting to use. There is better interaction through Twitter and Instagram. I wish Facebook would just go away actually haha! Which is funny because I used to hate all forms of social media, but since becoming a blogger I have learned to love Twitter, Instagram, and the best…Pinterest! Well this is a strange question. I am not really a pattern person. I like things pretty simple. Simple but cozy chic is my style 😉 I like solids for clothes. I think if you get all crazy with strips and dots and what-not, things tend to get a little…gawdy? 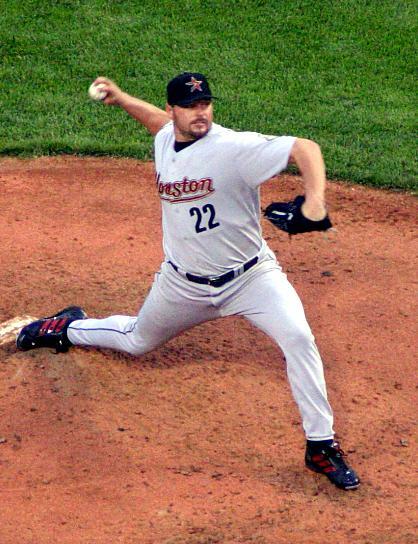 Well always always it has to be 22 because of my Roger Clemens obsession when I was younger. Long story short: My brother and I were eating dinner one night and he was asking me random sports trivia I wouldn’t ever know. Well luck had it that one of the questions he asked, I guessed Roger Clemens and he was like “O Sh*t” (well he didn’t say that because we were really young, but you get the picture) “your right!” And ever since then I have loved Roger Clemens and it has been a joke for many many years. I even had an old AIM messenger username that was like, lemons4clemens22. Haha, those were the good old days! As for the Nominees…well this is a cope out. I hate picking people for these things. So Instead I will just extend the award to all my readers who have a blog! If you want to join the sisterhood we have here on the blogs just do this post on your blog and say I nominated you! And lastly…how do you feel about patterns? Haha!